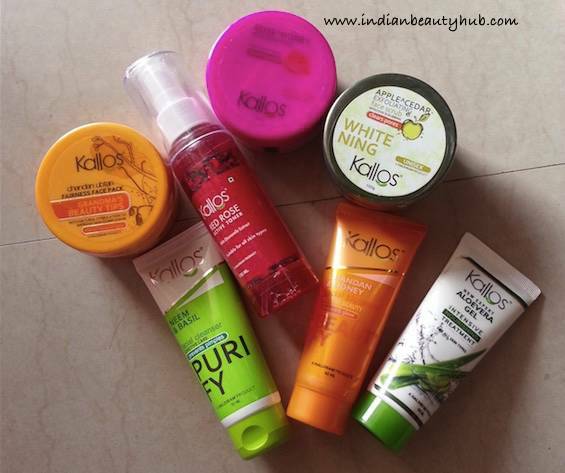 Hey everyone, today I’m sharing details about skincare products from a new brand Kallos, launched by the popular Indian sweets and snacks manufacturer Haldiram. Kallos is a Greek word that essentially implies Beauty. It includes an affordable range of face wash, scrubs, moisturizers, face packs and more. You can visit their website Kallos.co.in for more details about the products range. Given below are the products sent to me by the brand for the reviewing purpose. 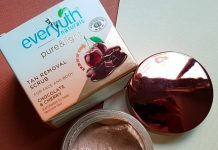 I’ve already started using these products and will shares my views about each product very soon. Kallos Neem & Basil Purify Facial Cleanser: Formulated with neem & tulsi extracts and helps prevent pimples and acne. The price of the Kallos Neem & Basil Facial Cleanser is Rs.50 for 50ml. 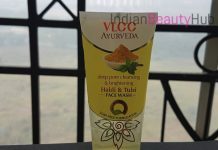 Kallos Chandan & Honey Beautify Facial Cleanser: Face wash comes in an easy to use tube with a flip cap. Honey & chandan extracts help to make skin glowing and visibly clear. The price of the Kallos Chandan & Honey Beautify Facial Cleanser is Rs.75 for 60ml. Kallos Aloevera Gel: It helps to soothe dry, flaky and itchy skin. The price of the Kallos Aloevera Gel is Rs.70 for 60ml. 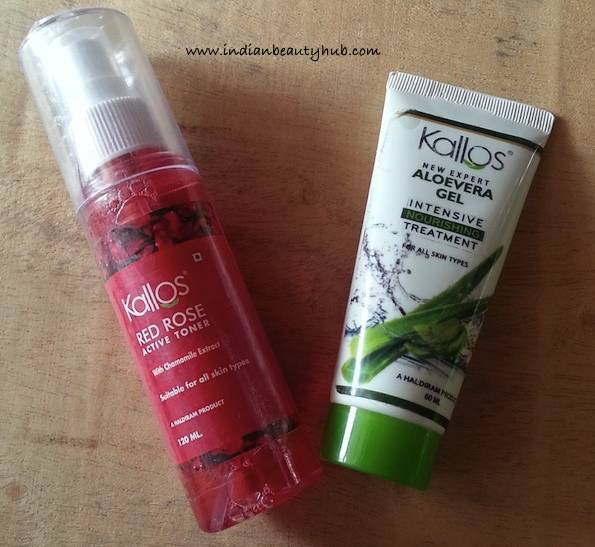 Kallos Red Rose Active Toner: It comes in a convenient to use spray bottle. The price of the Kallos Red Rose Active Toner is Rs.175 for 120ml. Kallos Apple Cedar Exfoliating Whitening Face Scrub: Formulated with apple, almond oil, cedar oil this face scrub gently exfoliates the skin. 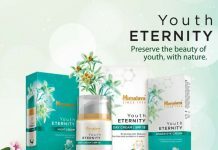 It has anti ageing, anti acne and skin brightening effects. The price of the Kallos Apple Cedar Exfoliating Whitening Face Scrub is Rs.150 for 100g. Kallos Rose Honey Nourishing Hydrating Face Scrub: It removes dirt and oil from the skin’s surface and leaves the skin thoroughly nourished. The price of the Kallos Rose Honey Nourishing Hydrating Face Scrub is Rs.160 for 100g. 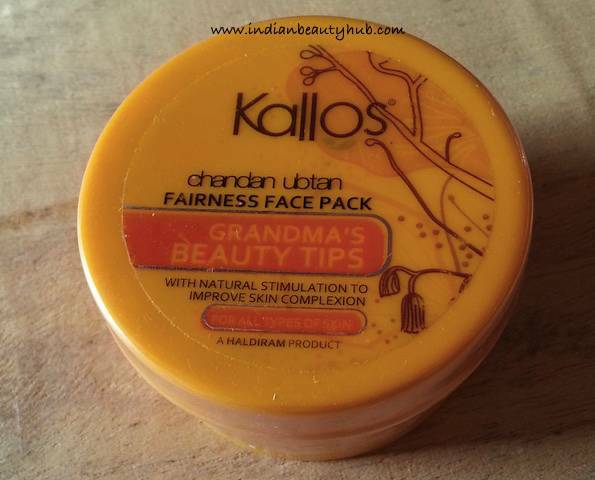 Kallos Chandan Ubtan Fairness Face Pack: The face pack comes in a yellow plastic tub. It claims to lighten skin tone and gives glowing & flawless skin. The price of the Kallos Chandan Ubtan Fairness Face Pack is Rs.115 for 100g. Ok, that’s interesting.. this is from the Haldiram Company? I’m intrigued to try it out.